"In a world of secrets, love is the most powerful weapon." Hank Marshall is an Army engineer in the 1950s who is supposed to help test nuclear weapons, but he is disturbed by the realization of how much damage this testing might actually do. He warns that these tests should stop, but the higher-ups don't want to hear what he has to say. Meanwhile, his wife is causing problems for him as well. She is very attractive and inclined to flirt, and the men on base are inconveniently drawn to her. All he wants is to do his job well, but circumstances are preventing him from doing so. 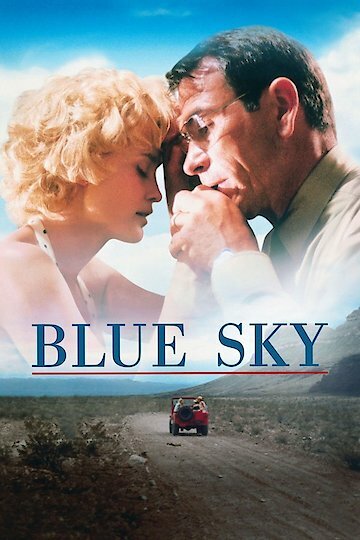 Blue Sky is currently available to watch free on The Roku Channel and stream, download, buy on demand at Amazon Prime, Vudu online.